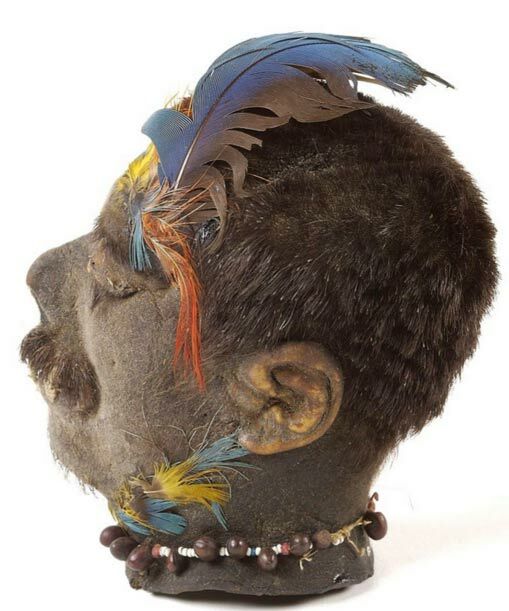 Headhunting is a practice that has been carried out by numerous cultures throughout the world. 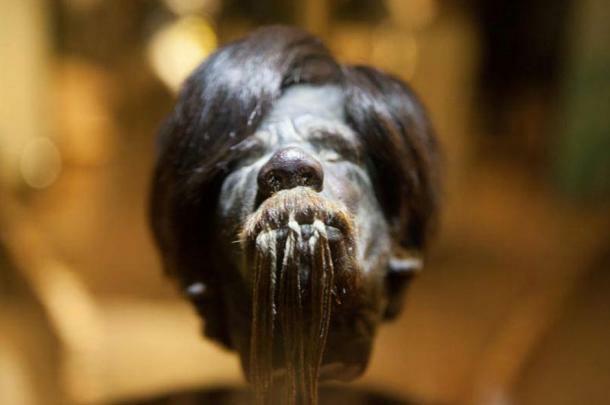 For instance, during the Qin dynasty in ancient China, it is claimed that soldiers collected the heads of their dead enemies, and tied them around their waists. This was intended to terrorize and demoralize their enemies. 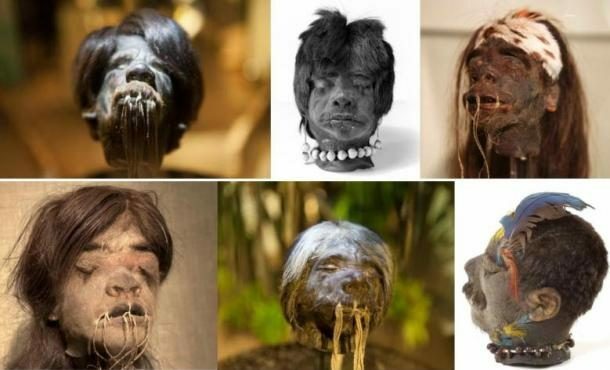 Despite the fact that headhunting was not too uncommon a practice, the shrinking of human heads is one that was unique to the Jivaro natives of Ecuador and Peru. 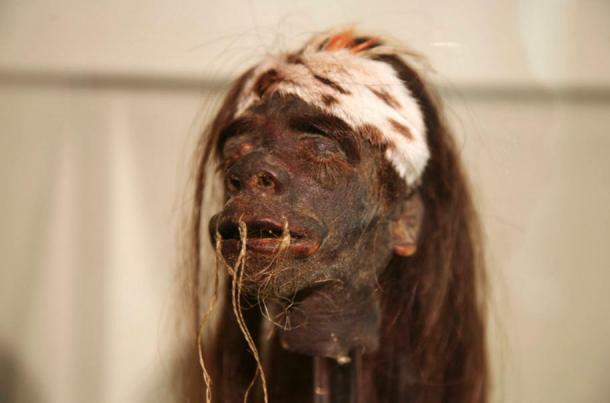 The process of making a shrunken head began by obtaining a human head in battle. A head was removed from the body by cutting the skin at the extreme base of the neck. An incision was made up the back of the neck in order to peel the flesh away from the skull. The entire skull was then removed and thrown away. 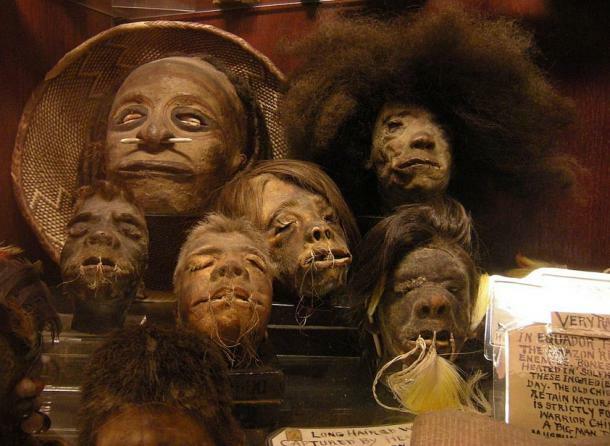 The eyes were sewn shut, and the mouth closed by passing small, sharp palm pegs through the lips. Then, the skin was put into a boiling pot and left to simmer for about an hour and a half to two hours. 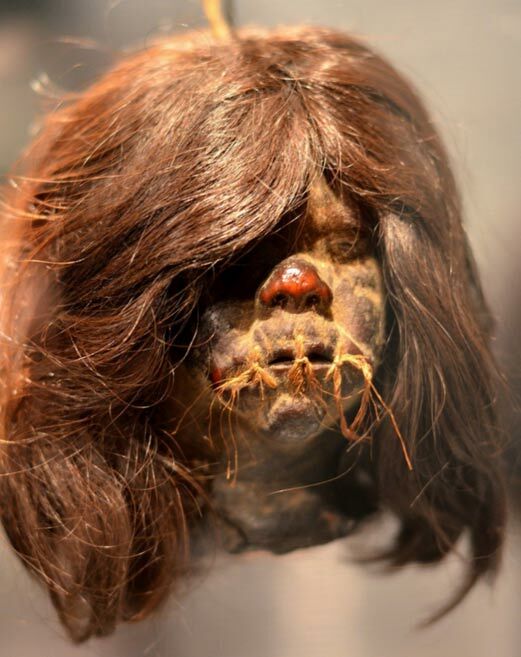 The timing was crucial, as too short a time would result in the head not shrinking properly, while leaving the head too long in the pot would cause the hair on the head to fall out. When the head was removed from the pot, it would be reduced by two-thirds of its original size, and would have a rubbery texture. After this, the head was dried so that it would continue to shrink. Small rocks heated by a fire were used to fill the cavity of the head. 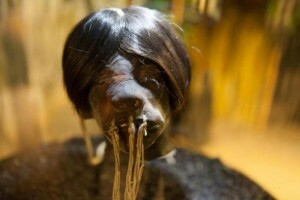 Ash was then rubbed into the skin, and the head hung over a fire to allow it to dry and harden. 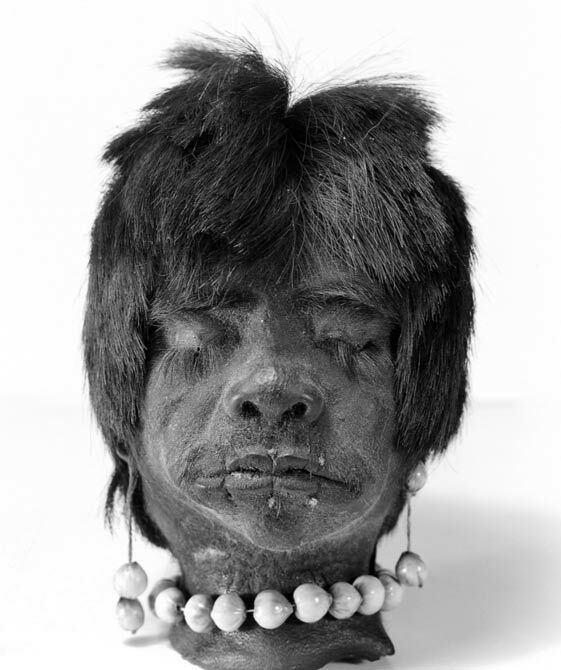 Once this was completed, the head was attached to a cord through the scalp and worn around the warrior’s neck. 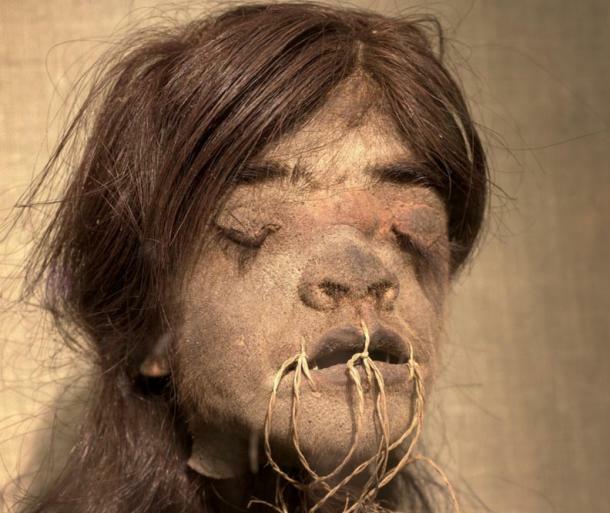 The process of producing the shrunken head ended with a celebration and a feast. 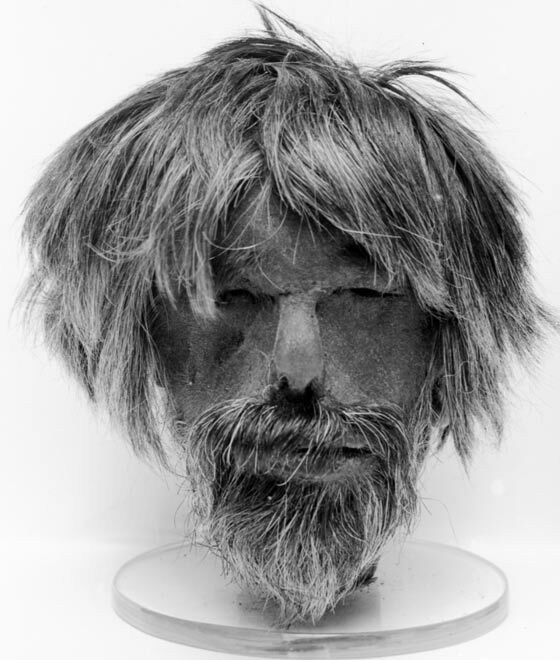 Head shrinking was undertaken to appease the spirits of slain ancestors. 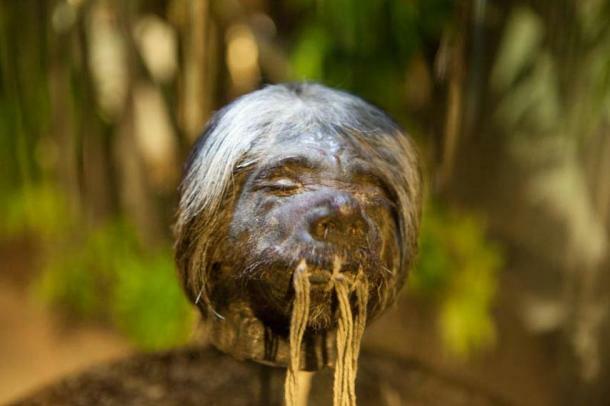 Jivaro warriors believed that the ritual of shrinking the head paralysed the spirit of their foe and prevented it from taking revenge, and also passed the victim’s strength onto the killer.